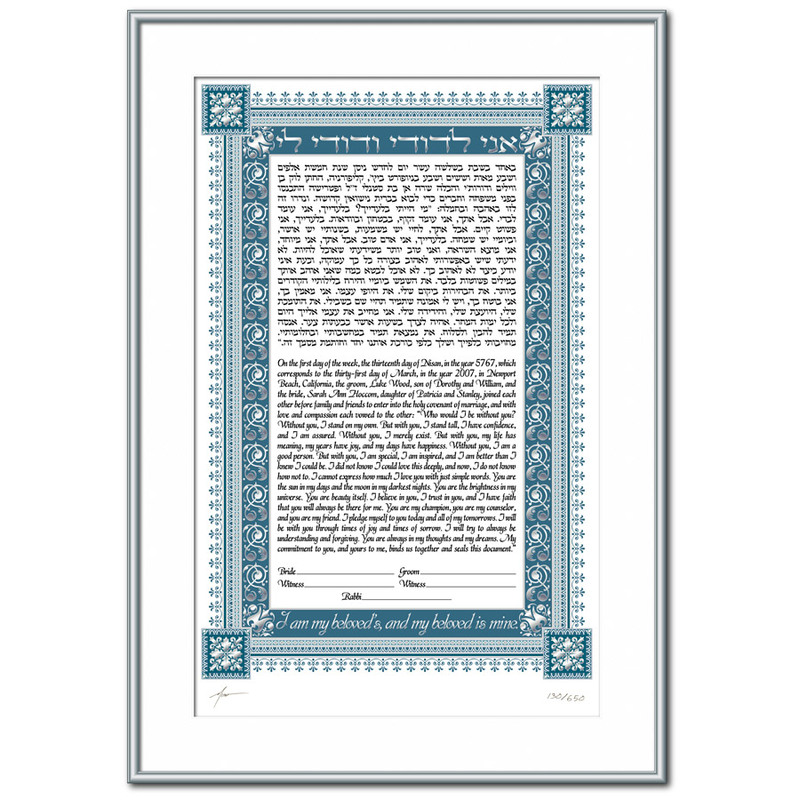 ketubah4less : 10.5" x 16"
Standard : 12.5" x 19"
From a time long past, this ketubah evokes the romance of a more mystical time--of Romeo and Juliet, of chivalry and honor. 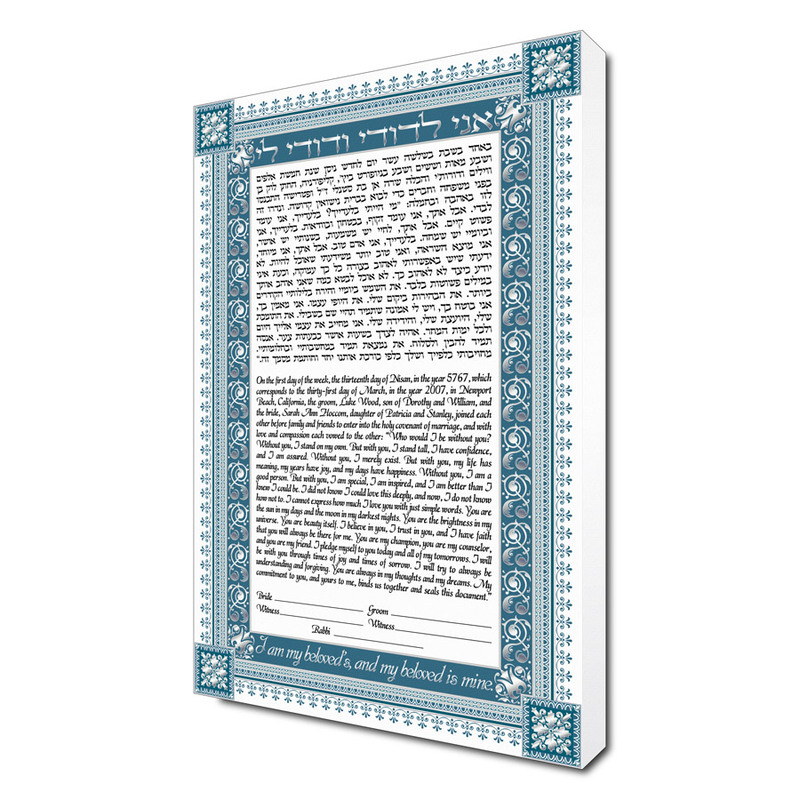 "In designing this ketubah, I envisioned my bride in medieval times in her long, flowing gown and intricate lace headdress, anxiously anticipating our nuptials." The design as a whole is powerful yet the detailing is soft and graceful. 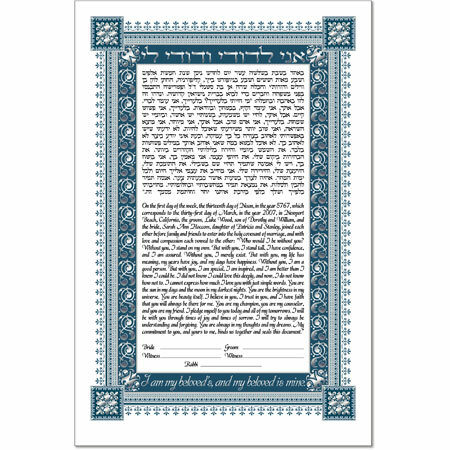 The piece also incorporates the popular wedding phrase from the Song of Songs, Ani l'dodi v'dodi li, which is translated along the bottom, I am my beloved's, and my beloved is mine.